In home decorating and design, black is an often overlooked neutral. Olympic paint’s 2018 color of the year—Black Magic OL116—is raising awareness of just how fabulous this color can look in any home. Pair this versatile hue with trending grays, blush pinks or warms whites. “The color’s substantial nature brings an airy and soft space down to Earth, and it highlights a perfect mix of masculine and feminine,” say Olympic’s designers. Sarah Gaffney, design manager and project designer for Case San Jose, is “excited to see black get its due as color of the year.” How would she use Black Magic? Perhaps in a small space to instantly create drama and elegance, or on a powder room wall, paired with bold, graphic wallpaper for a stunning statement. Paint isn’t the only way to stay on trend. 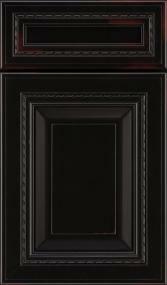 ProSource Wholesale makes it easy to add black to any remodel, renovation, or redesign. Get your 2018 color of the year in ways that extend beyond the paintbrush. Cabinets. Sure, you can paint your existing cabinets a mysterious Black Magic, or you can start anew with kitchen or bathroom cabinets that were black to start. Carpet. Anchor your rooms with durable or plush carpet from ProSource Wholesale®. Who knew there were so many black options? Hard Surface Flooring. 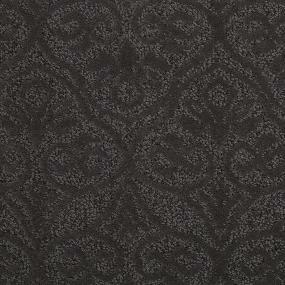 Choose an elegant black shade in anything from vinyl to hardwood and beyond. Countertops. Black countertops remain popular, and not just in granite. Still need help introducing Black Magic (or any kind of black) into your design plan? Go online to view hundreds of inspirational rooms (created by ProSource trade pro members!) or to connect with our design services team. And stop by a showroom near you for a hands-on experience with thousands of quality products at wholesale prices.